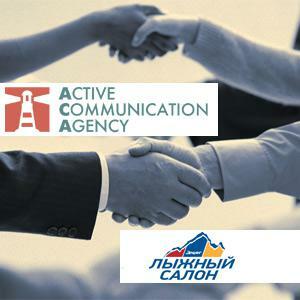 Pr&communication agency АСА (Active Communication Agency) and Moscow International Ski&Board Salon signed an agreement on enhanced partnership. Now Ski&Board Salon participants within the contract execution will automatically receive the opportunity of wide media presence under additional ACA's "Exhibitional" PR-Package. "Exhibitional" PR-Package consists of news and press-releases, that will be posted on more than 30 web sites, plus social media and popular news groups' circulation. Moscow International Ski&Board Salon – the main Russian exhibition, dedicated to ski, snowboard, tourism, extreme and outdoor activity. АСА (Active Communications Agency) – communication agency, specialized in active and healthy lifestyle concepts and brands promotion.